CPM had a fantastic day at the Sales Leader Summit last week in the Intercontinental Hotel Dublin. It was a great event with a super turnout of Ireland’s senior business leaders. The Chairman for the day, Ivan Yeats (Irish businessman, broadcaster and former politician) with his political / business experience & acumen gave an address that was engaging, topical & relevant to the event and David Meade entertained the crowd before breaks with his mentalist performance mixing international business focus and aspects of popular psychology, consumer behaviour, and choice. We were delighted to be one of the sponsors with a stand at the event on the day, enabling us to engage with the array of prosperous companies interested in how CPM could help grow their sales. Our senior management team were also in attendance enjoying the experience of some wonderful key speakers sharing their perspective on emerging strategic trends in the sales arena, especially some of our own clients - Diageo’s - Ann Marie Philips (Channel Director on Trade Diageo) and – Microsoft’s – Paul Henessy (Dynamic Business Group Lead). Well done Anne Marie and Paul! CPM took away great insights in to the challenges Irish and international businesses are faced with today and key points on managing disruption, spurring motivation and how to keep accelerating in our business. 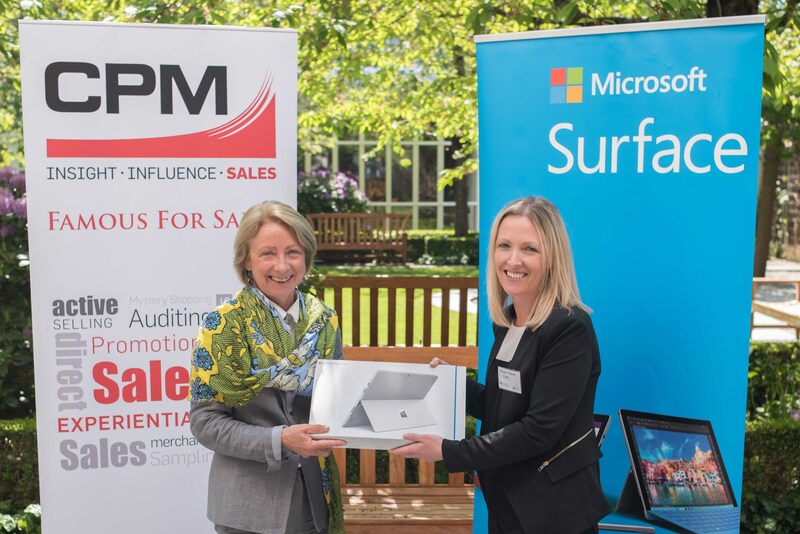 We also had the pleasure of partnering with our Client Microsoft on the day offering a fantastic competition to win a Surface Pro 4. Monica Nielsen, from GMIT (Galway and Mayo Institute of Technology) was the lucky winner. Congratulations Monica it was a delight to be able to award you with this prize! 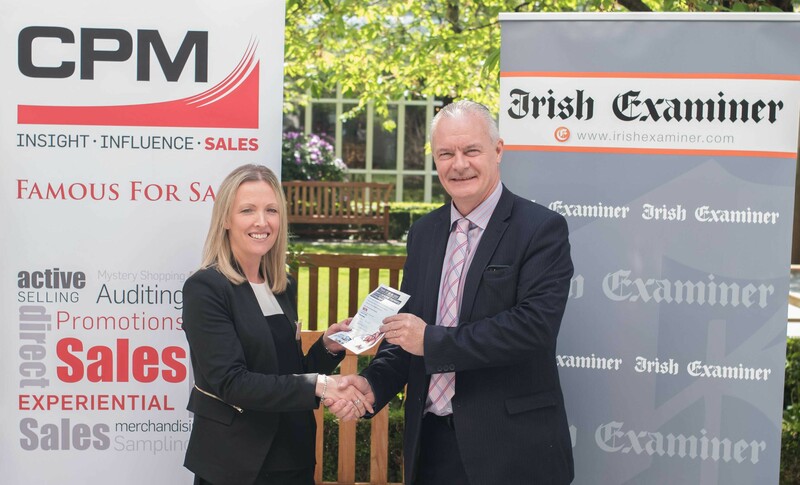 Galway Mayo IT were not the only ones lucky enough to win a prize, also we at CPM were fortunate to win a magnificent prize of €10,000 worth of Advertising space with the Irish Examiner so a big thank you to the Irish Examiner and particularly Aidan Forde (Senior Advertising Manager) who presented us with the award on the day.